Fort Worth Locksmith Pros is an established and dependable locksmith company in Fort Worth, TX that installs and repairs automatic door closers. 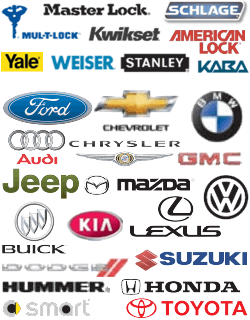 We also perform automotive ignition replacement and repairs; installing, repairing, and rekeying commercial office locks; and residential lock installation, repair, and rekey. When it comes to commercial locksmiths in Fort Worth, you can always rely on our highly dependable services, which are accessible 24 hours a day, 7 days a week, even on holidays and weekends. Backed by the company’s wealth of experience and resources, our locksmiths can install, replace, and repair automatic door closers for malls, supermarkets, offices, and government buildings. All our services are performed by a team of licensed, bonded, and insured technicians who boast 5+ years of experience. If you are a business owner in Fort Worth, TX and surrounding areas, we are glad to inform you that you can expect our expert technicians at your doorstep within 30 minutes of issuing a service request. Furthermore, our upfront pricing is competitively tailored to meet your budget. Our commercial automatic door closer installation and repair services are among the most sought after in the greater Fort Worth area. This has been made possible with the help of our licensed, bonded, and insured technicians who are highly trained to provide 24×7 locksmith service. In addition, our technicians have 5+ years of experience and training in their areas of specialty. This experience has given them the necessary skills to undertake complete locksmith services whether your business needs an added security layer or new door closers. We all know that door closers are an essential feature in many businesses and offices since they help control access. This device can be installed on the door frame or the door itself. Automatic door closers normally operate using a winding and unwinding mechanism that helps in opening and closing the door. 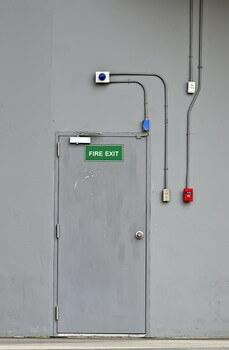 Investing in this add-on door feature is a small price to pay compared to the many benefits that it brings. The benefits of installing an automatic door closer are many: First of all, the closer can be installed on both new and existing door frames. The push and go feature on most closers makes it easy for everybody, including the elderly and the handicapped, to use the door. The closer also keeps the door closed, thus eliminating the problem of banging doors. Automatic door closers are also designed to use less power; this mechanism can be installed in a number of places including supermarkets, hotels, schools, hospitals, and any other high-traffic areas. Some automatic door closers are operated using remote controls and motion sensors. The two main types of closers are the surface mounted door closers and the concealed door closers. The hidden or concealed door closers can be fitted in a number of locations including the floor and the door frame. 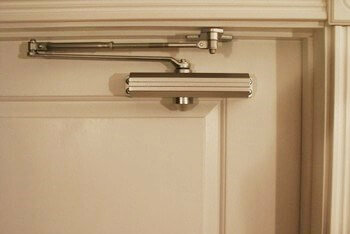 The surface door closers, on the other hand, are usually attached somewhere on top of the hinges or above the door. Our fast and friendly, mobile locksmiths can also help you install and repair other commercial hardware including access control systems and push bars. In case you are looking for a proven and complete locksmith service in and around Fort Worth, Texas, Fort Worth Locksmith Pros is the right place to call for all your commercial door security needs. You can reach our fast and friendly, customer support desk by phone or email. Our widely popular automatic door closer installations can fit both left- and right-handed doors. Closers can greatly reduce accidents and are easy to maintain. When it comes to emergency services, our experienced and expert technicians are available around the clock. Our 24×7 locksmith service comes with thorough inspection, upfront pricing, and a quick 30 min response time. We look forward to hearing from you! Automatic Door Closers Installed and Repaired http://locksmithftworthtx.com/automatic-door-closers/ 3.2/5 based upon 10 reviews.